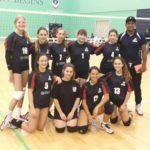 Ashcombe National League teams are playing at home this weekend. Ashcombe Dorking 2 v Ipswich – Sunday 25th November 11.30.a.m. and Ashcombe Dorking 1 v Dartford 2.00.p.m. Also Ashcombe Under 14 players are competing in a competition at ACS Cobham and ACDC2 [Under 16 squad] play at Spelthorne at 3.00.p.m.